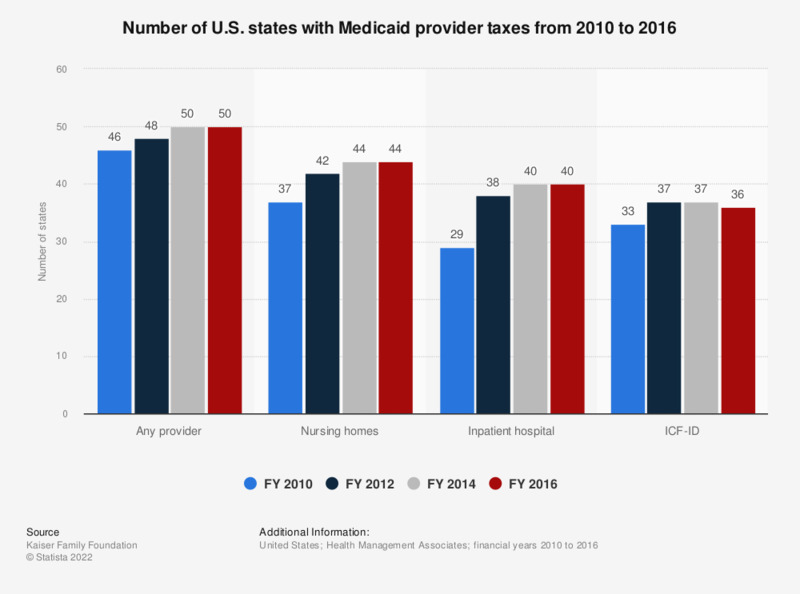 This statistic depicts the number of U.S. states with Medicaid provider taxes in financial years 2010, 2012, 2014, and 2016. In 2014, 40 states had inpatient hospital Medicaid provider taxes. The most common Medicaid provider tax was on nursing facilities, which was introduced in 44 states. States rely on provider taxes to provide a portion of the non-federal share of the costs of Medicaid.